The Best Book Marketing blogs from thousands of top Book blogs in our index using search and social metrics. Data will be refreshed once a week. Also check out Top Book Marketing Youtube Channels list for Top videos on Book Marketing. Book Marketing newsletter is a comprehensive summary of the day's most important blog posts and news articles from the best Book Marketing websites on the web, and delivered to your email inbox each morning. To subscribe, simply provide us with your email address. Pittsburgh, Pa About Blog CJ grew up admiring books. His family owned a small bookstore throughout his early childhood, and he would spend weekends flipping through book after book, always sure to read the ones that looked the most interesting. Not much has changed since then, except now some of those interesting books he picks off the shelf were designed by his company! Facebook fans n/a. Twitter followers 5,748. San Diego, CA About Blog Start selling more books with help from the leaders in book marketing. Blog by best-selling author and internationally recognized book publicity book marketing expert, Penny Sansevieri. Facebook fans 632. Twitter followers 25,568. Bath, England About Blog The Creative Penn is written by Joanna Penn is a must read. Joanna is the ultimate authorpreneur and book marketer. The Creative Penn offers information and inspiration on writing, self-publishing, book marketing and how to make a living with your writing through articles, podcast episodes, video, books and courses. Facebook fans 24,431. Twitter followers 80,360. Pennsauken, NJ About Blog Founded in 2011, BookBaby has grown to become the nation’s leading self-publishing company. Led by a crew of authors, poets, bloggers, and artists, BookBaby is dedicated to helping all writers publish successfully. How to self-publish your book, distribute your book, and promote your book. Professional writing tips from BookBaby.com to guide you through how to make a book. Facebook fans 52,262. Twitter followers 8,076. About Blog Your daily dose of writing, publishing and marketing advice. Reedsy allows authors to find and work with the best publishing professionals: from developmental editors to book cover designers, marketers and translators. We allow authors to search through our marketplace of handpicked professionals to find the right ones for their projects, and offer innovative collaboration tools to help them work better together. Facebook fans 26,546. Twitter followers 35,484. Dublin City, Ireland About Blog David Gaughran is an Irish writer, living in Prague who spends most of his time travelling the world, collecting stories. Facebook fans 3,040. Twitter followers 25,842. Fairport, NY About Blog I teach authors how to reach more readers by creating training programs that take the mystery out of key book marketing tactics and by working one-on-one with them so they get over, under, or around book marketing and sales roadblocks or obstacles. Facebook fans 911. Twitter followers 6,060. NJ • TORONTO About Blog An international book publicity and public relations firm for authors, publishers, books, experts, speakers, thought leaders and organizations. Read the latest on author marketing tips, book promoting tricks, and news about book publicity in the modern age. Facebook fans 2,845. Twitter followers 3,296. Facebook fans 21,554. Twitter followers 12,649. Cambridge, MA About Blog We love helping authors and publishers sell more books using data-driven best practices and inspiring case studies. BookBub Partners helps authors and publishers connect with millions of readers by offering new ways to promote your books and grow your audience. Facebook fans 2,035. Twitter followers 7,663. About Blog Learn how to market and sell your self-published ebook. Learn how to become a bestselling author and market your ebook like a professional. Free guides, lessons and case studies on how to build your author brand. Facebook fans 5,523. Twitter followers 2,361. New Rochelle, NY About Blog A unique blog dedicated to covering the worlds of book publishing and the news media, revealing creative ideas, practical strategies, interesting stories, and provocative opinions. Along the way, discover savvy but entertaining insights on book marketing, public relations, branding, and advertising from a veteran of two decades in the industry of book publishing publicity and marketing. Facebook fans n/a. Twitter followers 2,433. Taos, New Mexico About Blog John Kremer is the author of 1001 Ways to Market Your Books, webmaster of BookMarket.com, and founder of the Book Marketing Network. Read Book marketing and ebook promotion tips for book authors, book publishers, self-publishing authors, and e-book publishers who want to sell more books. Facebook fans n/a. Twitter followers 27,333. About Blog At AMC, we're focused on helping authors find new readers. It's all about book discovery! Also, learn about book marketing tactics and strategies. Facebook fans 10,418. Twitter followers 24,587. Indianapoilis, IN About Blog With Dog Ear Self Publishing Company, you can make & publish your own books as well as get help marketing your book. Read tips and articles on how to self-publish your book! Facebook fans 3,446. Twitter followers 1,733. Georgia, USA About Blog Welcome! Kate Tilton, founder of Kate Tilton's Author Services, LLC, invites you to learn how to connect with readers your way with free articles on social media, publishing, book marketing, writing, and so much more. Facebook fans n/a. Twitter followers 13,863. Charleston, SC About Blog The Bublish blog provides marketing and promotion information for self publishing authors. Facebook fans 2,797. Twitter followers 22,623. About Blog Book marketing expert John Kremer is the author of 1001 Ways to Market Your Books, mentor to authors who have sold over a billion books, and founder of the Billion Book Initiative to help the next generation of book authors sell another billion books. Facebook fans 739. Twitter followers n/a. Bangalore About Blog BookBuzzr offers best Book marketing tools for authors. Promote your books with our killer Book marketing tools & services to reach more readers! Read BookBuzzr Author Interviews, Book-Marketing and Promotion Tips and More! Facebook fans 1,502. Twitter followers 18,446. La Mesa, CA About Blog As The Original Book Coach, I help Fast Track Entrepreneurs who include leaders, CEO's, consultants and professional coaches who want to increase revenues, and make a transforming difference in their book audience's lives and work. Facebook fans 1,700. Twitter followers 2,442. East Coast About Blog Author websites and multimedia production for book marketing and book promotion. Facebook fans 1,561. Twitter followers 2,558. Facebook fans 3,618. Twitter followers 108,378. About Blog A blog by authors for authors (and would-be authors). About Blog Our blog is for authors who need book marketing tips. Scroll down the page for many valuable tips and information. Facebook fans 616. Twitter followers 497. Toronto & Stratford, ON About Blog The DigiWriting Team is excited to introduce our book marketing agency’s blog. Check back often for exclusive and unique content addressing issues that are important to independent authors and small publishers. Facebook fans 1,250. Twitter followers 8,115. Facebook fans 1,259. Twitter followers 1,642. Austin, Texas About Blog Book publicity firm offering PR campaigns through traditional media, online media, social media, book tours, branding & media training for Authors. Read blog for social media & PR tips, book industry news, and book marketing advice from PR by the Book's experienced publicity team. Facebook fans 1,470. Twitter followers 7,077. United States About Blog Christian eBooks for Kindle, clean literature book promotion, author advertising, book marketing advice. Facebook fans n/a. Twitter followers 1,456. About Blog Hello. Welcome to my blog. I am Sarah Bolme. I am both an independently published author and a traditionally published author. I am also the Director of Christian Small Publishers Association (CSPA) an organization that exists to help small publishers and independently published authors market their books in the Christian marketplace. Facebook fans 652. Twitter followers 911. Atlanta, GA About Blog Rick Lite of Stress Free Book Marketing, stands at the forefront of the ever-changing book industry. He is a seasoned book marketing professional with over 13 years of experience in the industry. Rick’s expertise comes from tirelessly working on new and innovative ways to market his own books and CDs with his company and parent company, Stress Free Kids. Facebook fans 862. Twitter followers 4,589. Texas, USA About Blog RABT Book Tours & PR offers Authors a way to easily get their novel in the hands of bloggers/readers. PR, Publicity, and Marketing for your Novel. Gain Book Reviews, Schedule a Virtual Book Tour, Social Media Help, PR plans, Magazine Ads, and More. Facebook fans 2,513. Twitter followers 7,622. Ishpeming, MI About Blog BookVenture Publishing Blog provides self-publishing resources, product reviews, and book marketing tips to help authors in their publishing journey. Facebook fans 1,681. Twitter followers 3,965. USA About Blog IndiGo offers affordable book marketing and promotion plans. Blog tours, blitzes, cover reveals, editorial and author assistant services tailored just for you! Facebook fans 827. Twitter followers 1,262. Portland, ME About Blog Kirsten Cappy of Curious City builds creative outreach projects for authors, illustrators, and publishers focused on engaging readers with story. Facebook fans 832. Twitter followers 2,156. Detroit, MI About Blog Book Publicist Scott Lorenz offers Authors Book Marketing Tips and Techniques on his Blog "The Book Publicist"
Facebook fans n/a. Twitter followers 34,165. Facebook fans 4,314. Twitter followers 8,504. Facebook fans n/a. Twitter followers 2,422. Columbus, Ohio About Blog Barclay Publicity is a boutique public relations agency specializing in author publicity and book promotion. Facebook fans 3,776. Twitter followers 5,509. About Blog Learn to Write, Design, Layout, Publish and Market Your Book. Denver, CO About Blog Marketing a book is about creating relationships with your ideal readers, as well as book review bloggers, and traditional and new media. My goal is to create a book marketing plan to help you connect with the audience that wants to hear from you. Once you connect with your ideal readers, there's no selling involved. Facebook fans 233. Twitter followers 1,160. About Blog Promotion Services for Authors of LGBT Romance and Fiction. Facebook fans 533. Twitter followers 846. Florida, USA About Blog Welcome to my website where you can buy kids books online and join our book club. I am Annette Spenner, Author of A Tale Of Dreams. My book comes with an interactive blog membership that shows the books characters and more inside information on the story. Facebook fans 26. Twitter followers 46. About Blog Reviews are necessary for book marketing - social media helps readers determine which books are interesting and entertaining. They also have an effect on the algorithms. About Blog I’m technically a hybrid author, with one traditionally published book releasing June 26, 2015 (The Rancher Takes a Cook from Prism Book Group). I’ll be posting weekly on this blog (at least initially, maybe more often as we progress), sharing marketing ideas I’ve tried, the success (or failure) in the attempt, and lessons learned. Facebook fans 1,473. Twitter followers 2,156. Surrey, U.K. About Blog A blog on social media for writers and book marketing, by Anita Chapman. Facebook fans 436. Twitter followers 4,372. Sydney Australia About Blog Marketing Ideas for bricks and mortar businesses small or large! We will share heaps of marketing ideas to help you grow your business. Facebook fans 458. Twitter followers 23. North Texas About Blog I'm an Author, Book Promoter, Indie Author Coach, Mom Blogger, Artist and Photographer. I LOVE helping writers sell books! I specialize in Virtual Book Events, Reviews, Interviews, Features, Trailers, more. I provide virtual promotion and marketing services through Online Book Release Events for authors. Facebook fans 374. Twitter followers 10,101. About Blog I am so appreciative of CBM Christian Book Marketing for helping to promote my Christian children’s series, Adventures of the Sea kids. CBM is very professional and informative. The have been wonderful in guiding us through this process. CBM is an excellent marketing partner working for the Kingdom! I look forward to working with CBM on my next project! Colorado About Blog As a publishing coach, I help writers accomplish their writing, publishing and marketing goals! I have over a decade of experience in the publishing industry, including writing and editing and book marketing. When I started this blog, my original goal was to help coach authors on how to use social media to promote their books. Facebook fans n/a. Twitter followers 558. Facebook fans 553. Twitter followers 3,159. About - The Creative Penn is written by Joanna Penn is a must read. Joanna is the ultimate authorpreneur and book marketer. The Creative Penn offers information and inspiration on writing, self-publishing, book marketing and how to make a living with your writing through articles, podcast episodes, video, books and courses. About - The Book Marketing Society was launched in November 2004 with the objective of becoming the representative body of marketing within the book industry. As such, it champions marketing professionalism with the ultimate goal of expanding the UK book market. About - A blog on social media for writers and book marketing, by Anita Chapman. 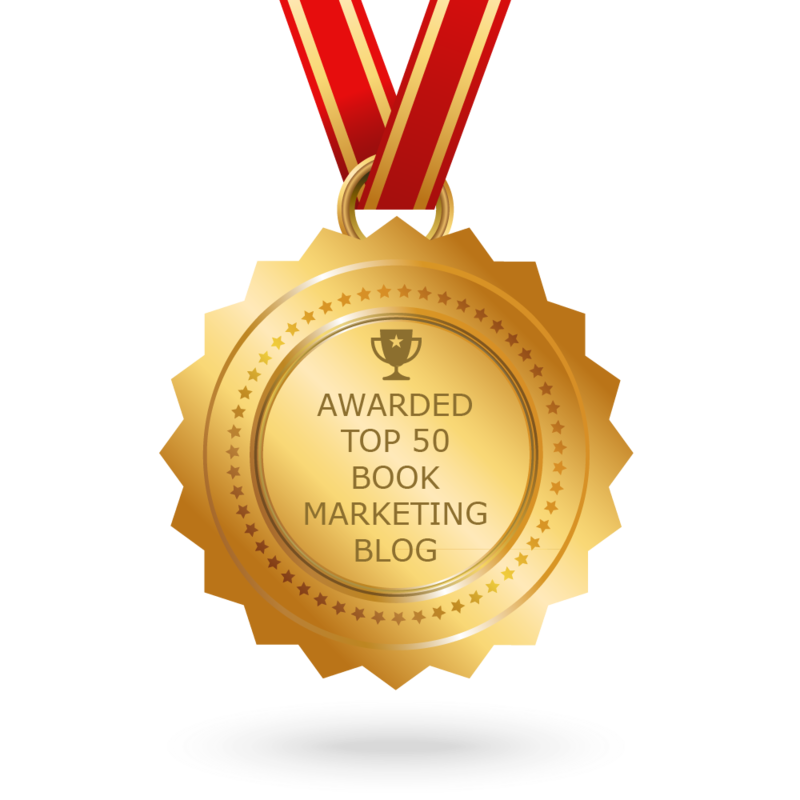 CONGRATULATIONS to every blogger that has made this Top Book Marketing Blogs list! This is the most comprehensive list of best Book Marketing blogs on the internet and I’m honoured to have you as part of this! I personally give you a high-five and want to thank you for your contribution to this world.